"I'm only going to eat 1 serving of that Bag of Potato Chips and I'll be Okay"
It is no coincidence that over the last 100 years as large quantities of food has become more accessible to the masses that worldwide waistlines have been rapidly expanding. We gain weight because we consume more calories than we burn with our fast food diets combined with sedentary lifestyle. Many people fail to realize that food choice has a direct influence on your caloric intake and when caloric intake is solely focused on, the vast majority over consumes calories and fails to achieve their goals. The problem is not that this is a big secret but it is significantly easier to focus on one or the other than both. Most people who are struggling in their attempt to lose weight focus on caloric intake or the following. "I can't see why I'm not losing weight, I eat Healthy"
As mentioned with number 5 on this list of the top 5 fitness and nutrition misconceptions attempting to control calories and disregarding food choice is a recipe for failure, no pun intended. When consuming a balanced diet consisting of healthy food it is more difficult to over consume calories because a healthy, balanced diet provides more satiety than consuming junk foods. Self discipline is almost always the most important factor while on a weight loss diet. While making proper food choices is a very effective way to control caloric intake, by no means is it a substitute for keeping track of it. 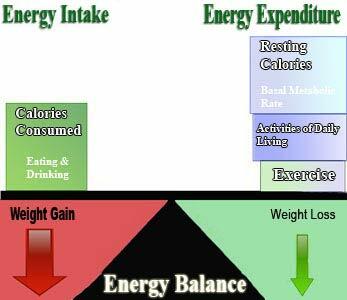 Again, it is easier to monitor one versus the other than both caloric intake and food choices. Self discipline is always going to be primary limiting factor when it comes to weight loss diets but keeping track of caloric intake and making proper food choices is always going to be the best way to lose weight while you diet and exercise. "I'm not Doing Cardio to lose weight because Muscle Burns Fat so I will only Lift Weights"
Let's face it. 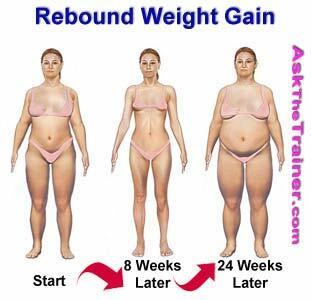 Most people who are looking to lose weight are not looking to lose a pound or 2 but they are looking to lose 10, 15 and even 20+ pounds. Weight loss is a pretty simple concept to grasp. Burn more calories than you consume you will lose weight. Cardiovascular exercise, especially that of the higher intensity variety burns a very high number of calories compared to weight training making it a better overall choice for weight loss. The best weight loss choice is of course a balanced, physically active lifestyle which includes the five components of physical fitness as well as a healthy diet, however, this is often very difficult as our responsibilities often lead to sedentary lifestyles. 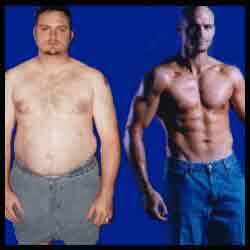 For the majority of weight loss clients, losing 20+ pounds performing weight training only is not the best way to go. If you have 2 pounds of flab you would like to lose and "tone up" then maybe weight training would be the preferred method because you could literally lower your body composition by adding a bit of muscle and burning a small amount of fat. Believe it or not, in the early and mid 1900s weight training was somewhat of an underground freakshow. That may be an overstatement but the point is that weight training has not been mainstream up until the past couple decades. Now that it is widely known that weight training "good" it is often being exploited by the media, and even health and fitness experts. Since most people who are willing to spend money on fitness are looking to lose weight, now all of a sudden weight training is THE way to lose weight which it is not. "I'm trying to lose with the New Acai Berry Cleanse, it helped Oprah Lost 50 Pounds"
Whether it is buying supplements, fitness products and/or workout programs off as-seen-on-TV infomercials or following a friend or family member's personal advice, the testimonial has always been a powerful selling tool. The fact is the human body is very complex piece of biological machinery and no two are identical. There are certain proven scientific rules and guidelines to follow which will set you on the correct path to weight loss but there is always going to be some navigation left for you. Regardless of the known science and research out there, often times the only research that matters is the effects of what you personally do for yourself. The media is again partially to blame. In this day and age the majority of people are "plugged in" whether it be the TV or the internet. It is exponentially easier to pick up the phone or enter your credit card number on a website to buy a product based on a testimonial than it is to research the science backed solutions to your weight loss goals. "Hooray, I have Lost 10 Pound in Just a Week on the Atkin's Diet"
Hooray for dehydrating yourself! Your body consists primarily of water and your water weight can fluctuate anywhere from 2-10 pounds per day depending on your body weight. Depleting your body's carbohydrate levels is one way to lower how much water your body retains and since water is so heavy it has significant effects on your scale weight. Losing 10 pounds of water has absolutely nothing to with how your body will look long-term. 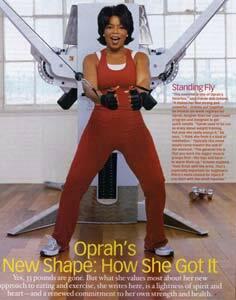 This is just one example of why scale weight is overemphasized in today's weight loss world. 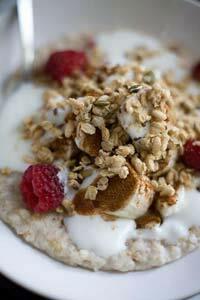 Numero uno of the top 5 weight loss misconceptions has seemingly never been widely understood. It is so hard to see why being the simple concept that it is. Simplified, your body consists of fat mass which is what you can pinch under your skin and lean body mass which is everything else. In order for your body to look its best, you must either reduce your body fat, gain some lean body mass or a combination of both. This requires consuming less calories than you burn which is best achieved by a balanced, low calorie diet and a complete exercise program. Simplicity always wins over complexity. It is easier to talk about and monitor losing and gaining weight than it is separating the body into multiple components and measuring body composition. Many people simply do not understand the rather simple concept of body composition. It seems that basic fitness education early in life is either inadequate or goes in one ear and out the other. Educating yourself about scale weight, body fat and lean body mass could be the difference between a successful weight loss program and a yet another failure.